The search module has some things which aren't good. "Model Year" - the font seems different between the 2 words. It also looks like the 2 words should be on different lines. Price - this is on the same line as the year range - it should be a line down. Fuel type - The same as for Price. 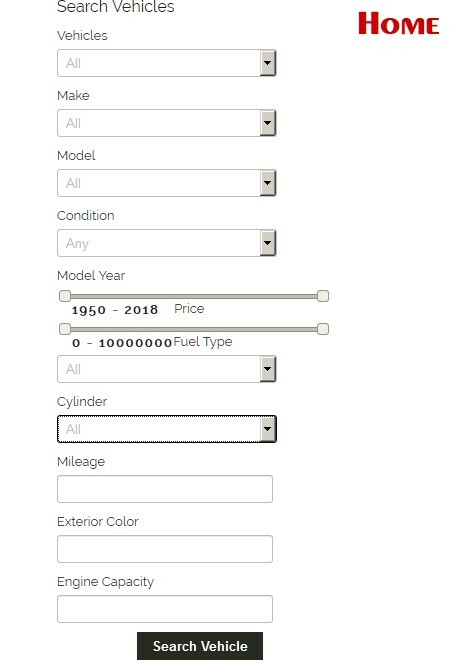 Why is Mileage and Engine capacity not sliders like year? It's confusing as to what a user should enter here. Why is Exterior Color not a dropdown. Again, it's not intuitive for a user. What does "Number of columns per row" do? I have changed the numbers but it seems to do nothing (I don't have any vehicles entered so maybe its how the results display). Having all the fields stacked is fine if it's used in a side column, however, it's a horrible layout if used in a wider module position. It really needs the ability to make it appear in x number of columns (what I initially thought "Number of Columns" controlled. Have a look at www.feellove.eu/jamautos/en/ for example for a great implementation of a wide module. The product looks promising, but these issues put me off buying it. It just doesn't seem professional as it is. Last edit: 1 year 5 months ago by Ian Shere. I have to make a decision on which component I need to use tomorrow. It's been 5 days since I posted this (yes, 2 were the weekend) and no reply. It would be nice to include your extension in the running as I already use your jobs extension. However, I need a response.